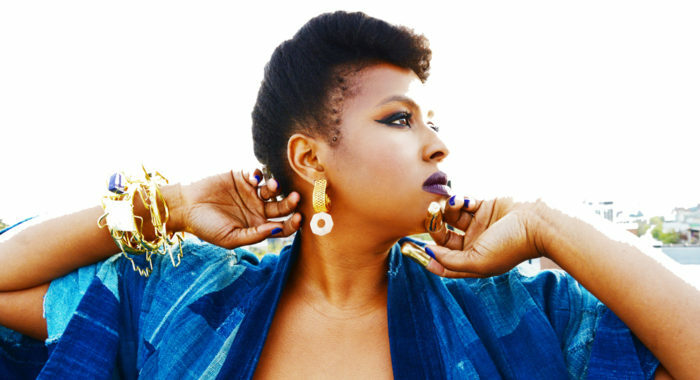 With free Levitt AMP concerts already underway in Santa Fe, N.M., Galva, Ill., Stevens Point Wis., and Whitesburg, Ky., and Ocala, Fla.,’s series right around the corner, we’re thrilled to share the wide-range of award-winning artists and rising stars who’ll bring vibrant outdoor performances to Levitteers across the nation this summer. 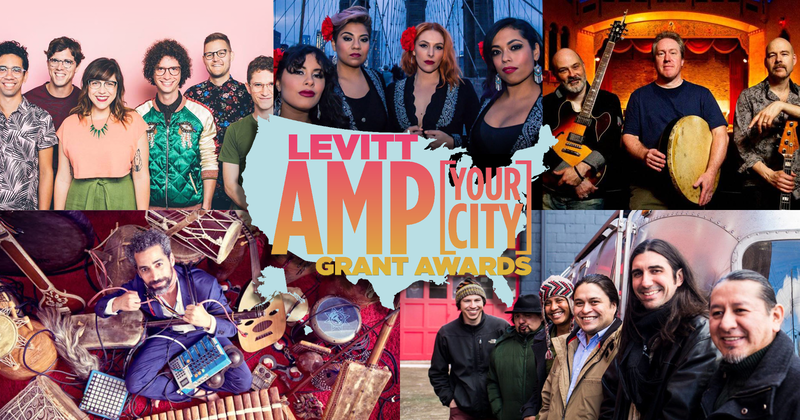 Scroll down to check out the incredible talent coming to these five Levitt AMP locations, and stay tuned for more exciting 2018 Levitt AMP lineups! 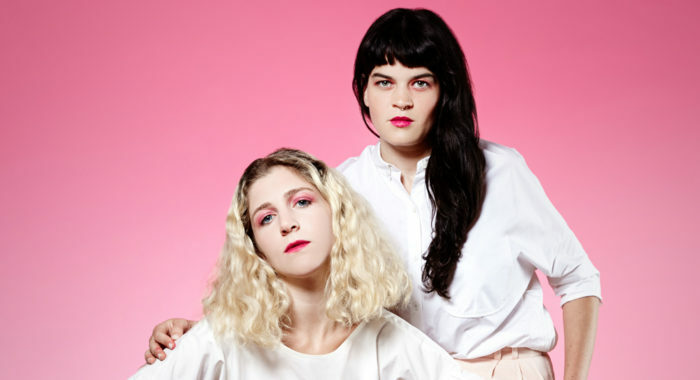 Overcoats | 5/26 at 7pm – This renegade indie-pop duo brings audiences uplifting, dreamy tracks that revel in the catharsis of honest songwriting, swirling synthesizers and hypnotic melodies. 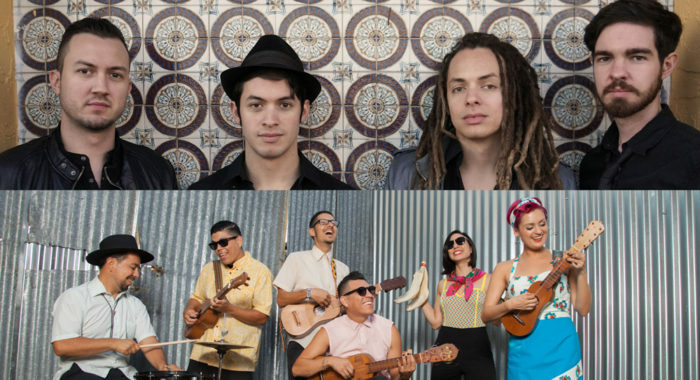 Making Movies & Las Cafeteras | 6/2 at 7pm – Funk-rockers Making Movies team up with Chicano folk group Las Cafeteras to redefine folk music in North America. 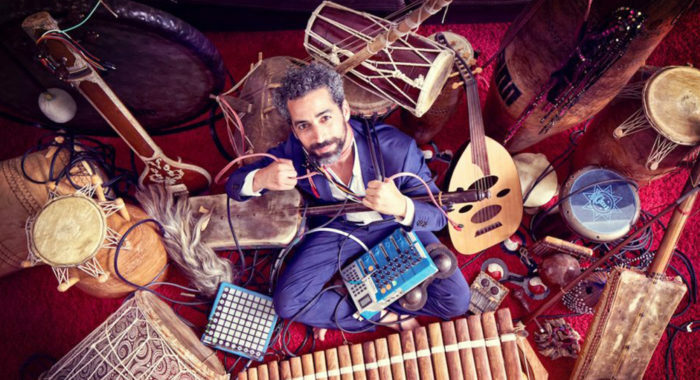 HAT | 6/9 at 7pm – Multidisciplinary artist and DJ Hatim Belyami–aka HAT–creates a world of mesmerizing soundscapes and visuals from elaborate audio/visual remixes, fusing traditional folk heritages from around the world with tomorrow’s electro. 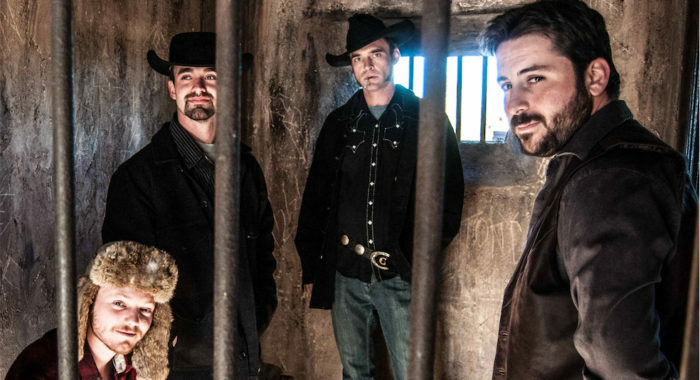 Birds of Chicago | 6/16 at 7pm – With powerful vocals layered over raw Americana melodies, Birds of Chicago meld folk, gospel and rock ‘n’ roll into tender music that heals the soul. 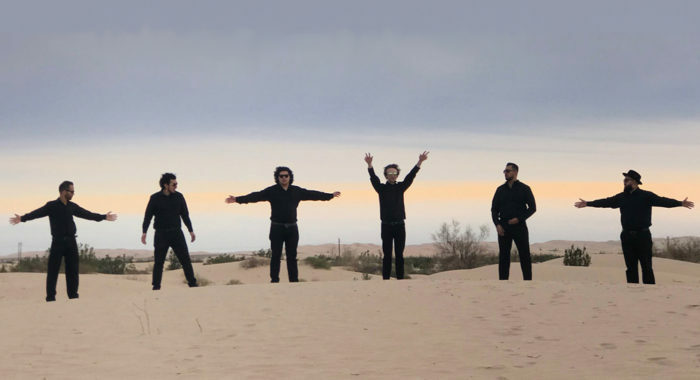 La Chamba | 6/30 at 7pm – Fusing ‘60s surf-rock guitar riffs with Afro-Latin rhythms, La Chamba pays homage to Peruvian Chicha Music, a distinctive style of cumbia with traces of Andean huayano and American psychedelic rock that you can’t help but dance to. 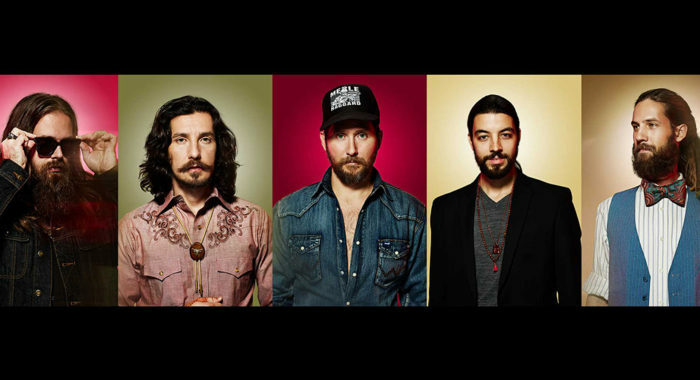 Anthony Leon | 7/7 at 7pm – Self-described ‘two steppin’ head bangin,’ Anthony Leon delivers searing electric rock ‘n’ roll laced with twang, poetry and raw energy. 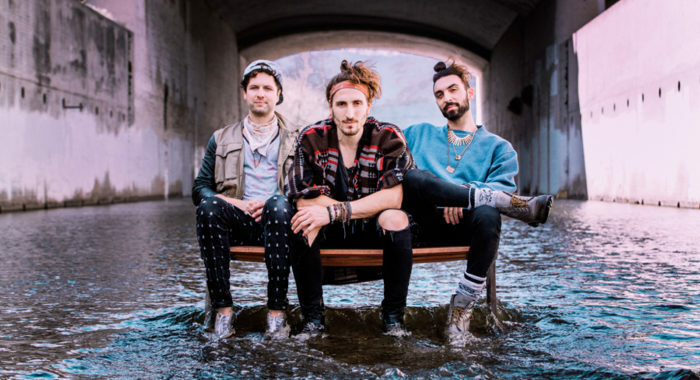 Magic Giant | 7/21 at 7pm – With an ear for infectious melodies and stadium-ready anthems, Magic Giant ignites audiences across the nation with their joyous music, lifting spirits and moving feet. 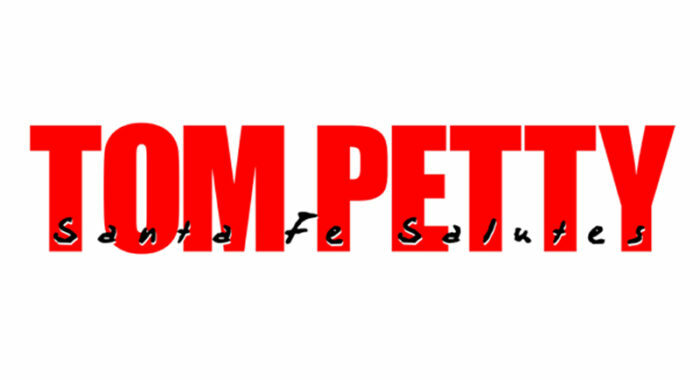 Santa Fe Salutes Tom Petty | 7/27 at 7pm – The Levitt AMP Santa Fe Railyard series presents the third annual installment of our popular Santa Fe Salutes shows, this year honoring the legacy of the great Tom Petty! 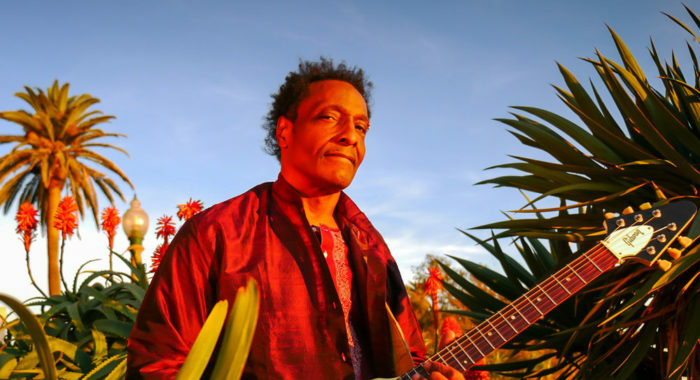 Deva Mahal | 8/4 at 7pm – Genre-defying powerhouse Deva Mahal transfixes audiences with emotionally-rich songs infused with blues sensibilities and a voice to bring the house down. Dengue Fever | 8/11 at 7pm – Blending Cambodian psychedelic pop with American indie rock, Dengue Fever is breaking cultural barriers and getting concertgoers dancing across the world. 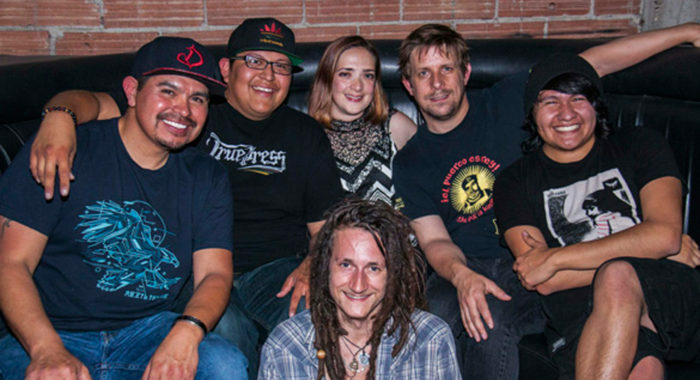 Innastate | 8/18 at 7pm – Santa Fe-based reggae sensation Innastate empowers concertgoers with energetic songs that honor the group’s indigenous heritage through their contemporary grooves. For the second year in a row, the Levitt AMP Santa Fe Music Series is supporting the revitalization efforts put into motion by the existing AMP Concerts series at The Santa Fe Railyard—a centrally-located community gathering space built in the midst of the city’s historic Santa Fe Railyard in conjunction with the iconic Railyard venue’s 10th anniversary—positioning the iconic outdoor space to reach its potential by connecting the city’s diverse communities and increasing civic pride. Presented by AMP concerts. 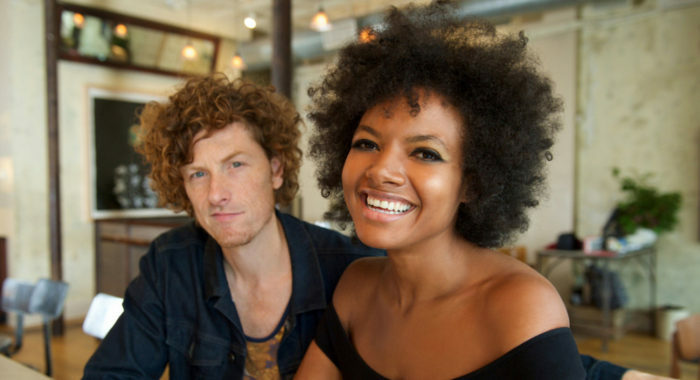 The Giving Tree Band | 5/27 at 7pm – Blending folksy Americana instrumentation with vibrant, high-energy live shows, this band's bliss is contagious. 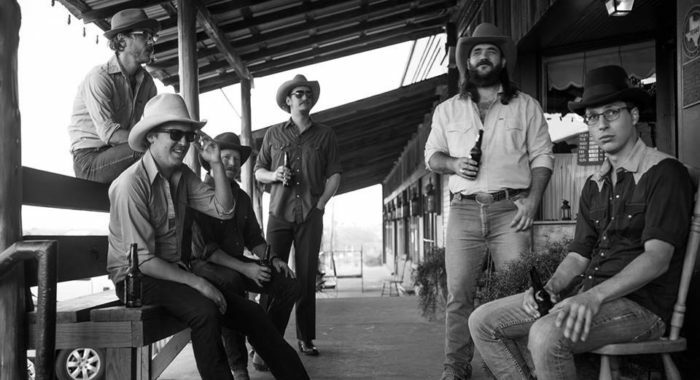 Vandoliers | 6/3 at 7pm – Fusing an undeniably country sound with punk sensibilities, Vandoliers take a modern approach to the iconic music of their native Texas. 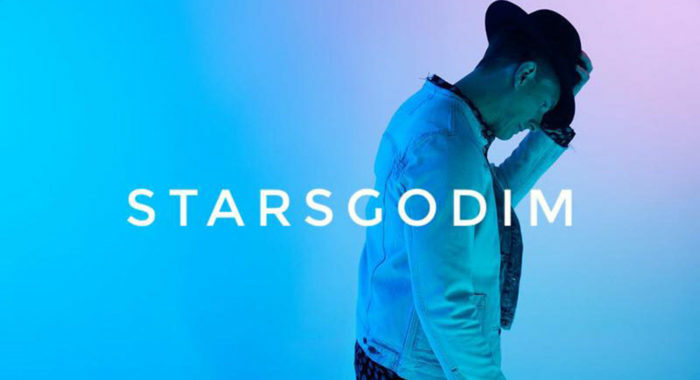 Stars Go Dim | 6/17 at 7pm – Stars Go Dim fuses danceable pop and arena-style anthemic rock into powerful songs that connect and uplift audiences. 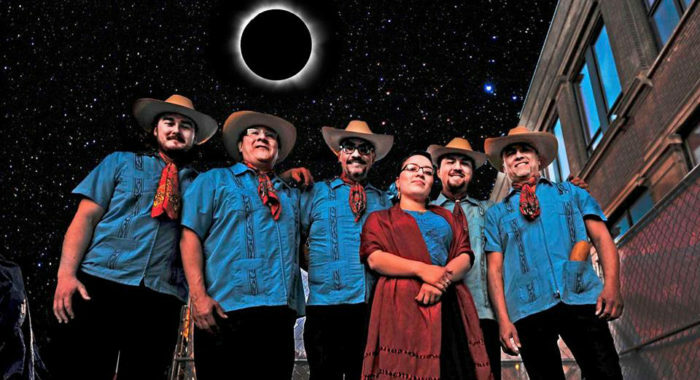 Sones de México Ensemble | 6/24 at 7pm – Two-time GRAMMY Award-nominated Sones de México Ensemble brings concertgoers of all backgrounds a taste of Mexican folk and traditional music at its best, celebrating their heritage through innovative performances and engaging approaches to music education. 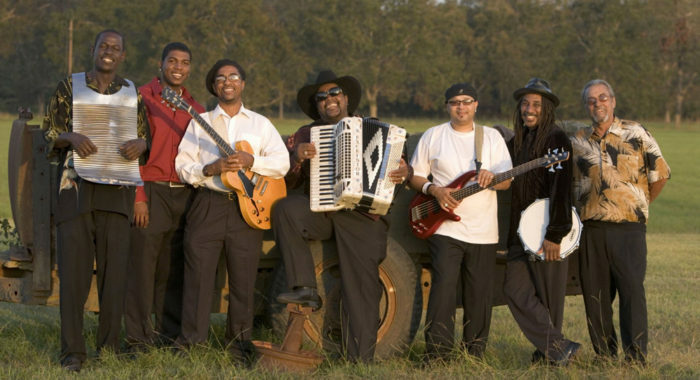 Nathan & the Zydeco Cha Chas | 7/8 at 7pm – Nathan & the Zydeco Cha Chas will have you dancing to the sounds of South Louisiana with their festive, accordion-driven, zydeco music. 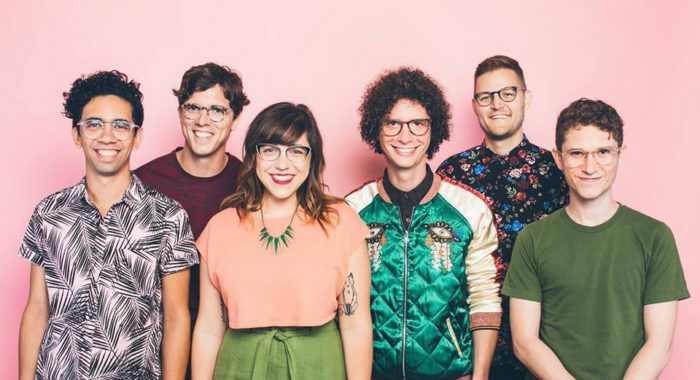 Sweet Crude | 7/15 at 7pm – New Orleans-based sextet Sweet Crude treats audiences to 'Drum Pop Louisianais'—a vibrant, bilingual fusion of indie, pop rock and traditional southern sounds, paying tribute to their hometown's rich cultural heritage. 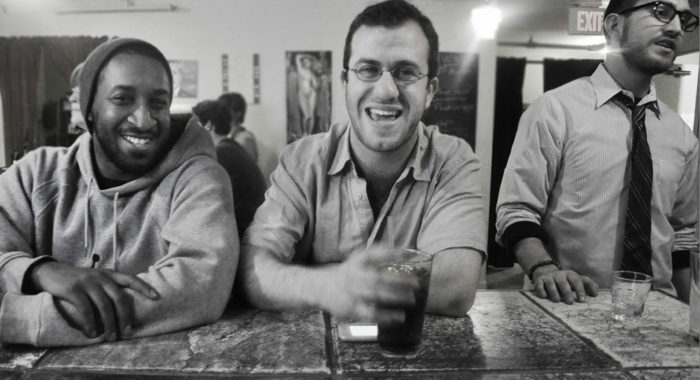 Sophistafunk | 7/22 at 7pm – With uplifting lyrics and a sound rooted in old-school funk, hip-hop and rock, three-piece band Sophistafunk's irresistible, electronic dance grooves will move your feet and lift your spirits. 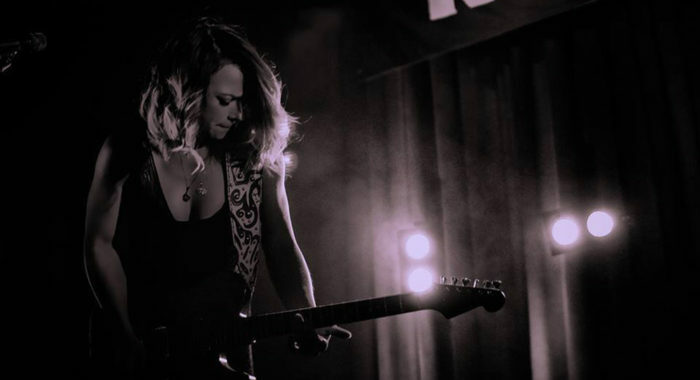 Samantha Fish | 7/29 at 7pm – Rising contemporary blues star Samantha Fish pushes genre boundaries with her exceptional guitar skills, powerful vocals and creative approach to songwriting. 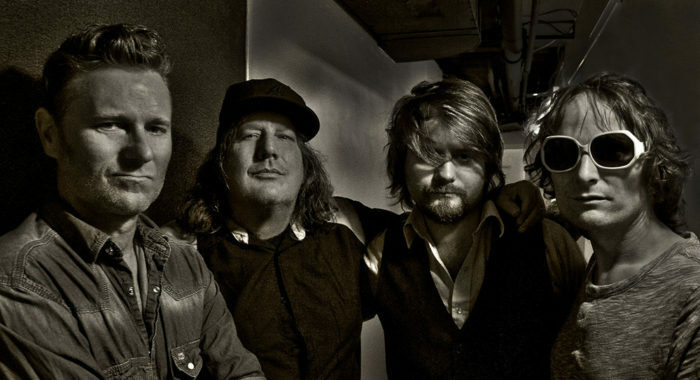 Kris Lager Band | 8/5 at 7pm – Treating audiences to ‘Heavy Soul & Boogie Trance,’ the Kris Lager Band has exhilarated concertgoers across the nation with their fun-loving energy and vibrant live shows. The Levitt AMP Galva Music Series is transforming Wiley Park’s large underused lawn into a dynamic community hub for friends, families and neighbors to come together to enjoy a wide range of music genres, positioning Wiley Park to be a point of local pride that invigorates the local community and its surrounding areas. Presented by the Galva Arts Council. 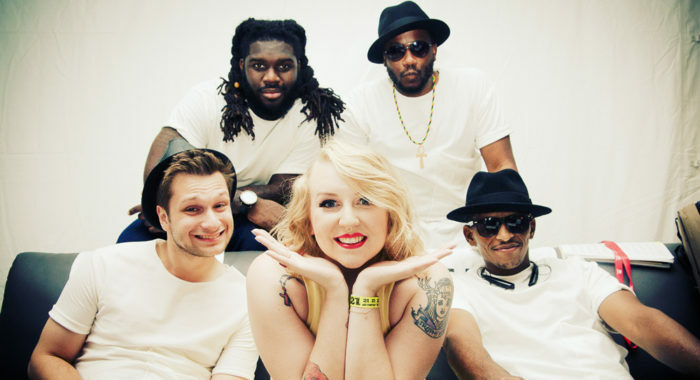 Lili K | 5/31 at 6pm – Jazz and hip-hop vocalist Lili K delivers soulful grooves with propulsive basslines that are sure to lift your spirit and move your feet. 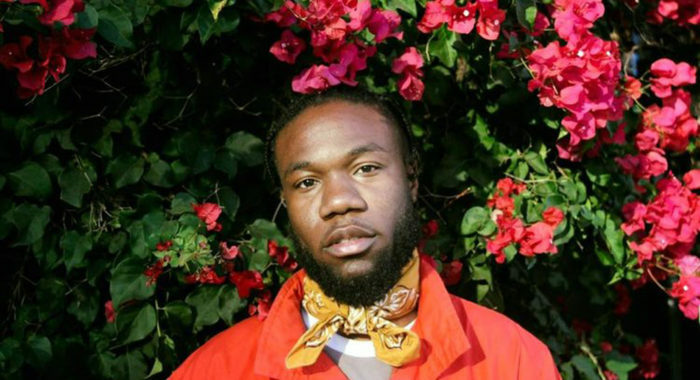 Emmitt James | 6/7 at 6pm – Milwaukee-born emcee, poet and creative king Emmitt James fuses masterful storytelling with funky hip-hop instrumentals in unforgettable performances. 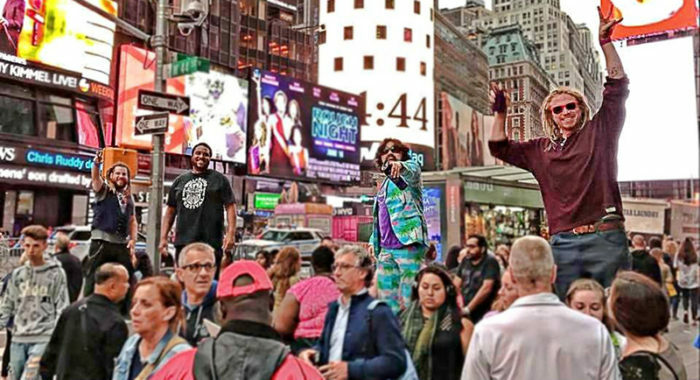 Strange Americans | 6/14 at 6pm – Strange Americans’ lyrical rock ‘n’ roll conjures blue-collar Americana infused with reverb-drenched guitar riffs and frontman Matt Hoffmans brassy vocals. 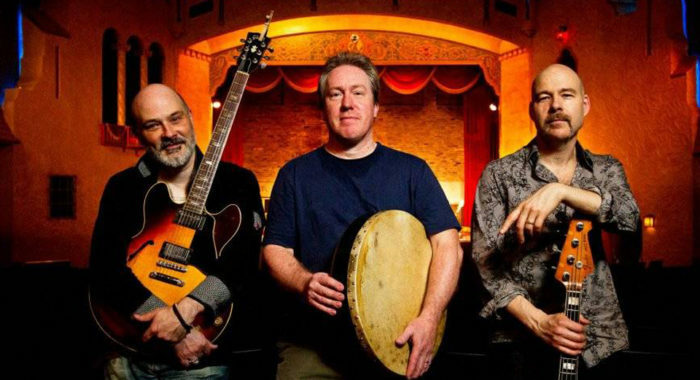 Lehto & Wright | 6/21 at 6pm – Fusing Celtic folk traditions with American progressive-rock guitar stylings, Lehto & Wright take a fresh approach to time-honored songs with a sound that’s larger than life. 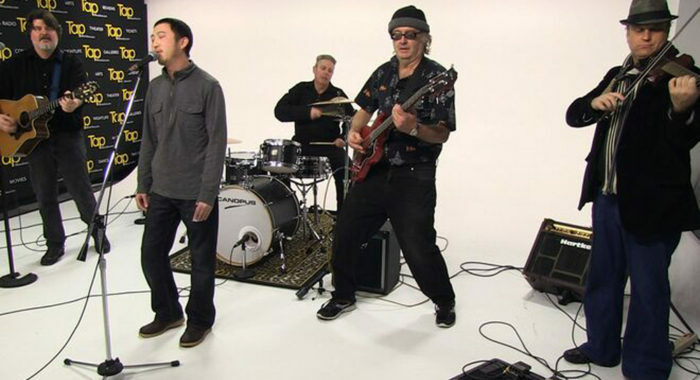 The Original Wailers | 6/29 at 9pm – The Original Wailers continue the legacy of Bob Marley & the Wailers' international reggae sensation—featuring Al Anderson, the lead guitarist of the mid-1970s Wailer’s lineup. 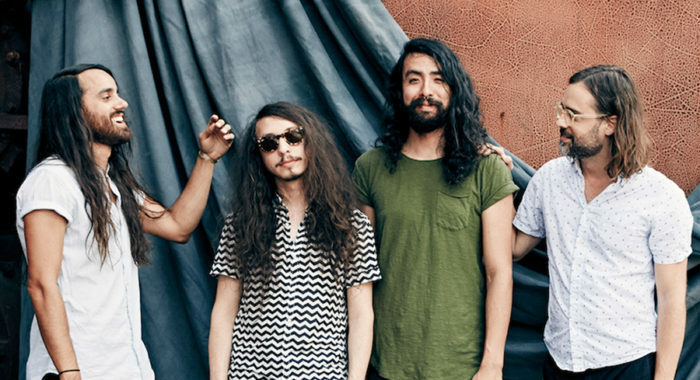 Elvis Thao and the Creatives | 7/5 at 6pm – Merging hip-hop, folk and rock ‘n’ roll, Elvis Thao and the Creatives make genre-bending music that leaves audiences enthralled. 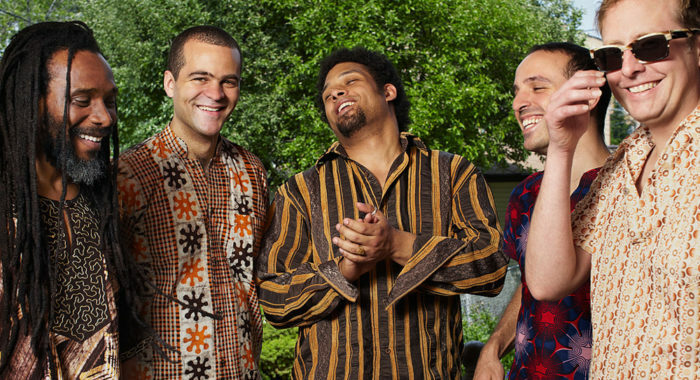 Immigré | 7/12 at 6pm – Afrofunk band Immigré channels their nuanced interpretations of classic Afrobeat through a combination of original compositions and covers that are sure to get you dancing. 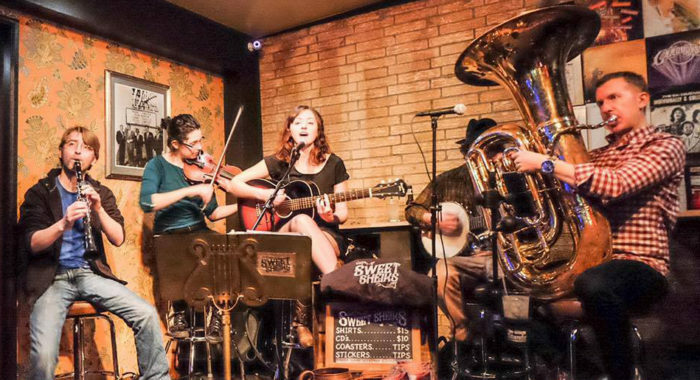 Sweet Sheiks | 7/19 at 6pm – Refreshing vintage jazz act Sweet Sheiks brings a modern touch to traditional jazz, blues and Americana tunes with an energetic flair and toe-tapping musical prowess. Samantha Fish | 7/26 at 6pm – Rising contemporary blues star Samantha Fish pushes musical boundaries with her exceptional guitar skills, powerful vocals and creative approach to songwriting. 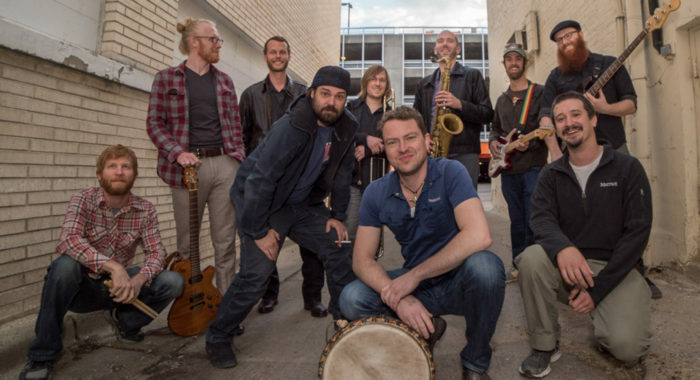 Occidental Brothers Dance Band International | 8/2 at 6pm – Occidental Brothers Dance Band International infuses traditional Central and West African dance music with African folk music, jazz and underground rock, creating a lively fusion that’s uniquely their own. The Levitt AMP Stevens Point Music Series returns for a second year to inject new life into Pfiffner Pioneer Park—a historic green space along the Wisconsin River—positioning Pfiffner park to become a thriving city center that welcomes people of all walks of life to experience the cultural scene in the historic neighborhoods surrounding the city’s core, spurring economic activity and strengthening the local community. Presented by Create Portage County. 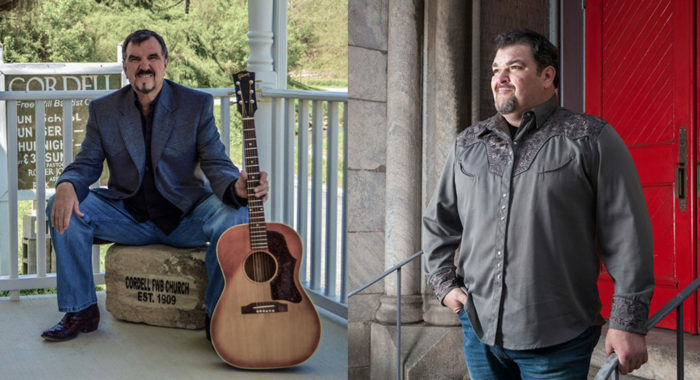 Larry Cordle & Dave Adkins | 5/31 at 7pm – Experience the soaring fiddles and blazing banjos of East Kentucky bluegrass at its best when GRAMMY-nominated singer-songwriter and Kentucky Hall of Fame inductee Larry Cordle joins forces with emerging singer-songwriter and guitarist Dave Adkins. 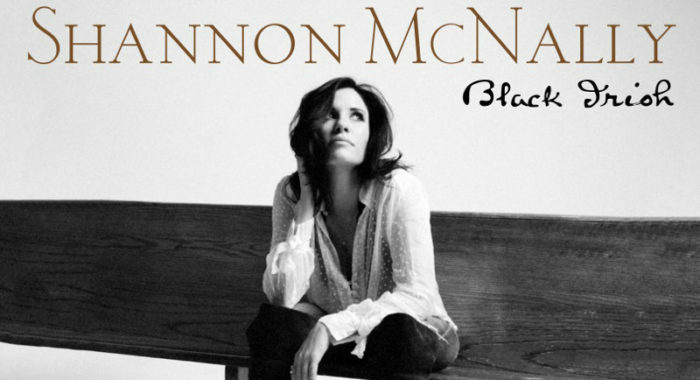 Shannon McNally | 6/7 at 7pm – Rising blues and Americana star Shannon McNally effortlessly weaves earthy vocals around soulful melodies and striking Fender Stratocaster tones, creating songs that will move your spirit and feet. 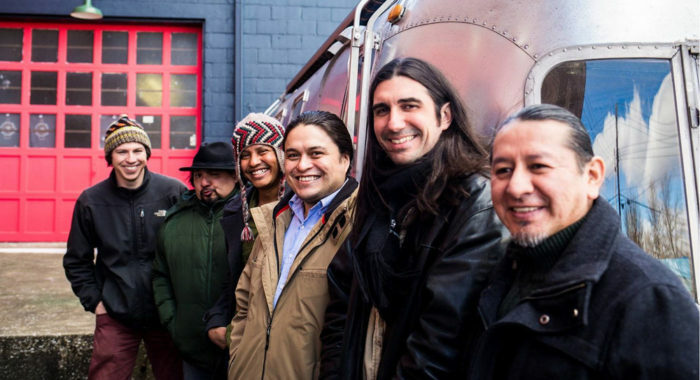 Appalatin | 6/14 at 7pm – Appalatin fuses foot-stomping Appalachian folk with high-energy Latin rhythms to create a genre-bending sound that is sure to make you dance. 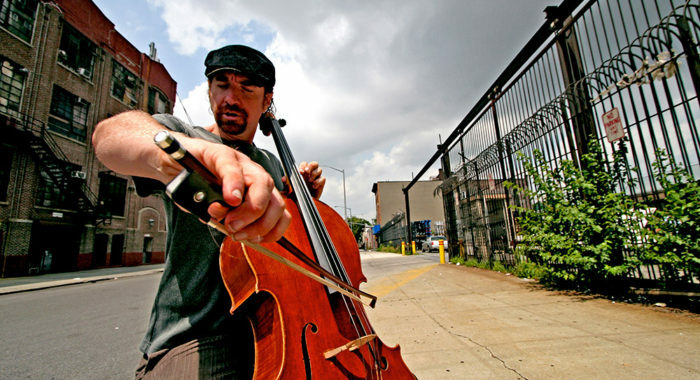 Dave Eggar Band | 6/21 at 7pm – As a former childhood musical prodigy—who has since collaborated with icons like Coldplay, Beyoncé and The Who—Dave Eggar’s impeccable piano and cello playing has wowed audiences across the globe. 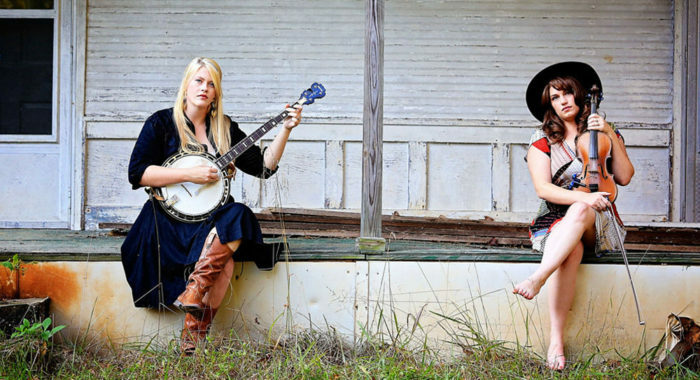 Local Honeys | 6/28 at 7pm – Layering silky harmonies over bluesy fiddle licks and driving banjos, bluegrass powerhouse Local Honeys will have you clapping your hands and stomping your feet. 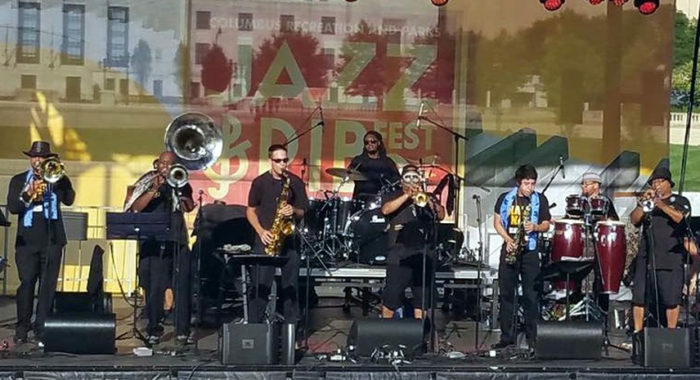 Nasty Nati Brass Band | 7/5 at 7pm – Drawing inspiration from the soulful sounds of New Orleans brass bands, marching bands of historically black colleges and classic R&B funk bands, nine-member Nasty Nati Brass Band delivers an explosive combination of jazz, funk, blues and R&B. 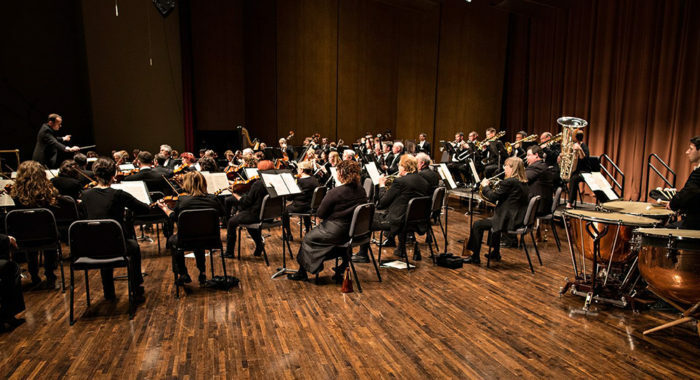 Lexington Philharmonic | 7/12 at 7pm – Currently in its 56th season, the world-class Lexington Philharmonic performs a mix of classical and contemporary music under visionary Maestro Scott Terrell. 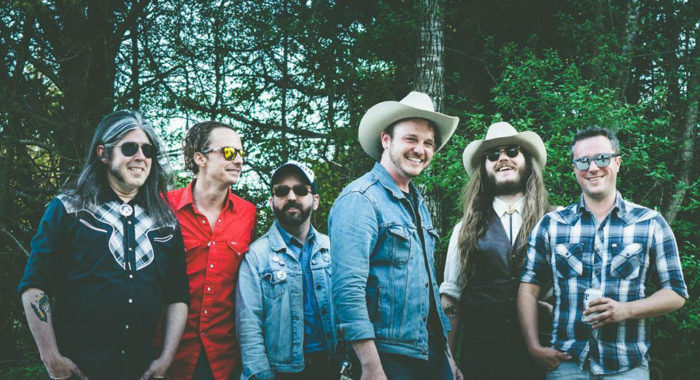 Drivin’ N Cryin’ | 7/19 at 7pm – Celebrating its 32nd Anniversary together, folk-rock act Drivin’ N Cryin’ delivers electrifying live shows that fuse honky-tonk melodies with searing hard-rock guitar riffs. 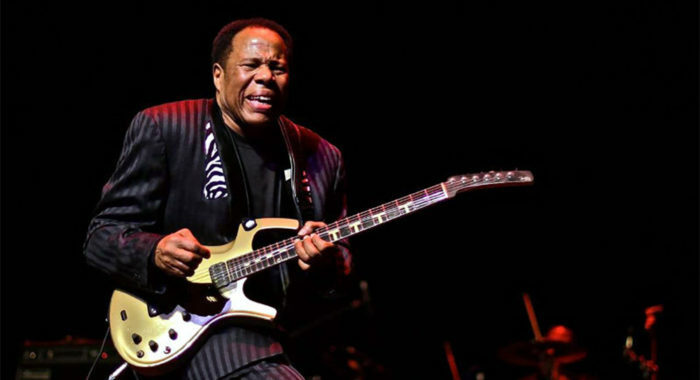 Tee Dee Young | 7/26 at 7pm – Heralded as ‘a blues legend in his own time,’ master guitarist Tee Dee Young is a force to be reckoned with, known for his dynamic stage presence and exciting live shows that will put you in the mood for dancing. 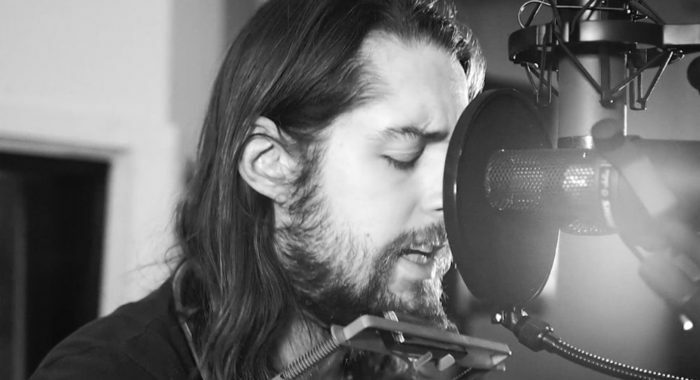 Nicholas Jamerson | 8/2 at 6pm – With his dreamy acoustic picking and a voice that runs molasses-thick, old-soul Nicholas Jamerson writes songs that are filled with heart. The Levitt AMP Whitesburg Music series is enlivening the small rural town of Whitesburg by offering 10 free concerts on the Mountain Heritage Festival Stage—once home to a closed school and vacant storefronts, now a place for hope and celebration—inviting all residents to come together to experience the power of free, live music and participate in the continued rejuvenation of their downtown. Presented by the Cowan Community Center. 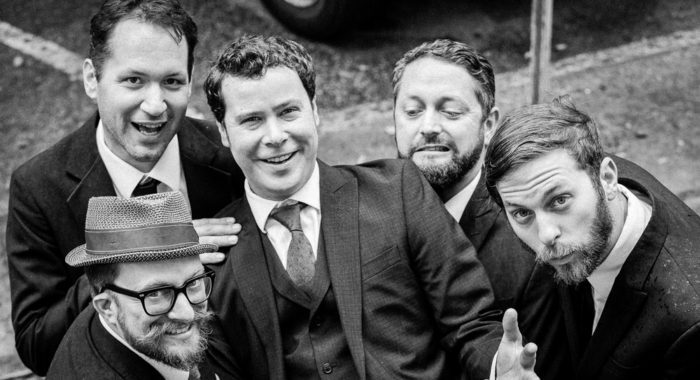 Velvet Caravan | 6/15 at 7:30 pm – The eclectic virtuosos of Velvet Caravan imbue classic swing jazz with vibrant gypsy, Latin and honky-tonk flavors for dynamic performances that dazzle audiences of all backgrounds. 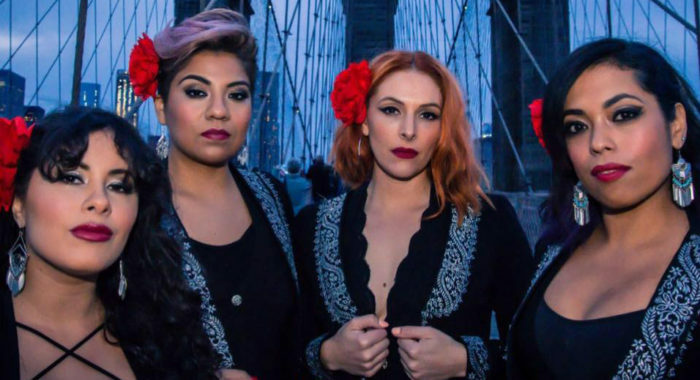 Flor de Toloache | 6/22 at 7:30 pm – New York City’s first and only all-female mariachi group, GRAMMY Award-winning ensemble Flor de Toloache, is pushing genre boundaries and getting concertgoers dancing with their fresh, versatile take on traditional Mexican music. 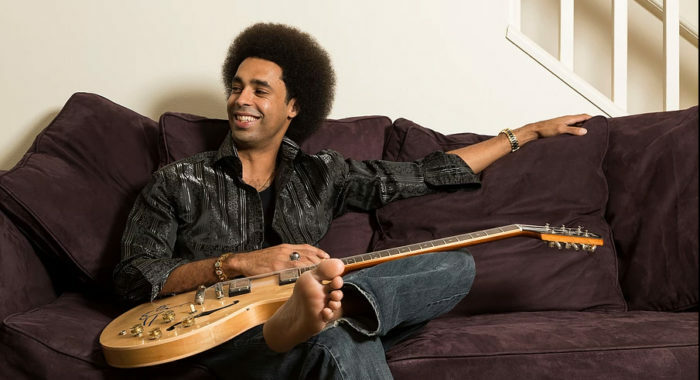 Selwyn Birchwood | 6/29 at 7:30 pm – Florida-native blues sensation Selwyn Birchwood unleashes his fiery steel-string guitar under raw, passionate vocals in sizzling jams that get concertgoers grooving. 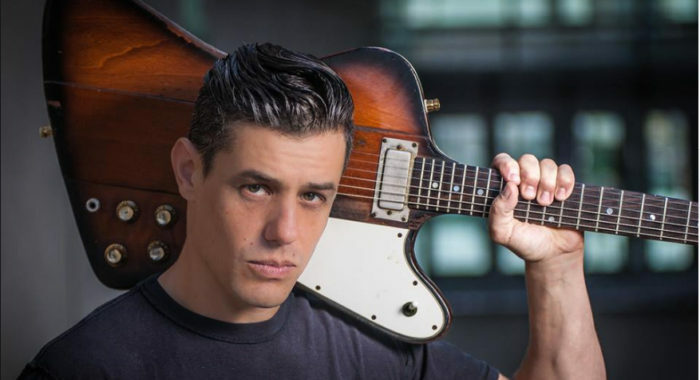 Nick Schnebelen | 7/6 at 7:30 pm – With searing guitar licks driving emotionally-dynamic songs, Nick Schnebelen distills the passion of the blues into high-octane tracks that bring audiences to life. 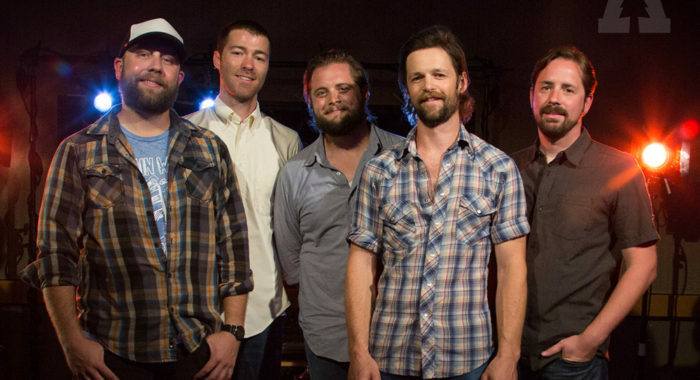 Honey Island Swamp Band | 7/13 at 7:30 pm – The self-dubbed ‘Bayou Americana’ jammers of Honey Island Swamp Band inject colorful lyrics into funky roots music that gets your hands clapping and your feet stomping. 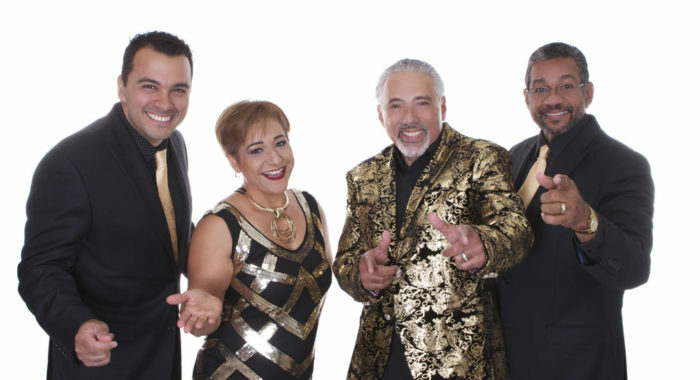 Orchestra Fuego | 7/20 at 7:30 pm – GRAMMY-nominated 12-piece salsa phenomenon Orchestra Fuego is igniting dance floors across the nation with high-energy performances that combine red-hot original songs and invigorating new arrangements of time-honored favorites. 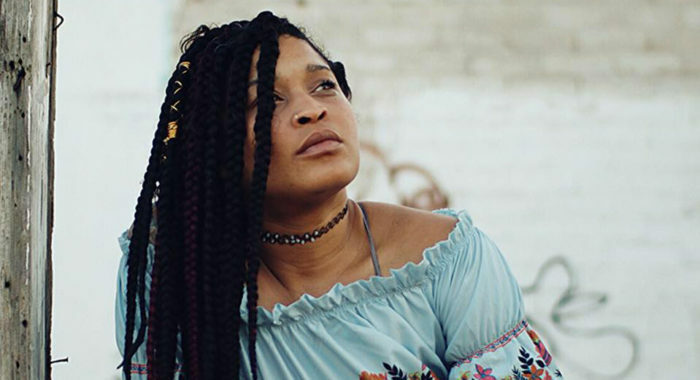 LaTasha Lee and The BlackTies | 7/27 at 7:30 pm – Retro-soul artist LaTasha Lee and her band The BlackTies treat audiences to feel-good smooth grooves with funky basslines and unbridled, powerful vocals that lift the spirit and sooth the soul. 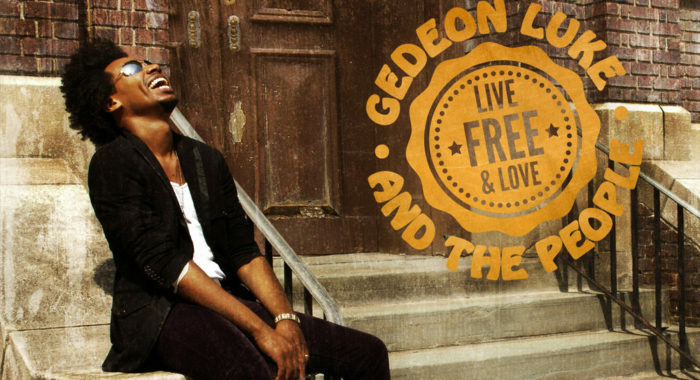 Gedeon Luke & The People | 8/3 at 7:30 pm – With warm, soulful music flowing through his veins, Gedeon Luke’s velvet vocals and driving, uplifting grooves are infused with the grit of rock ‘n’ roll and the fervor of gospel, keeping concertgoers coming back for more. 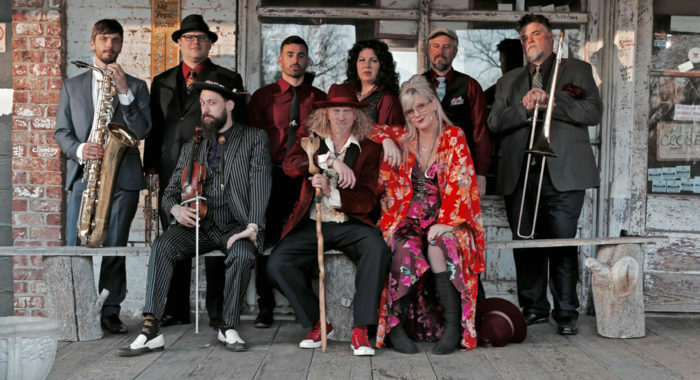 Squirrel Nut Zippers | 8/10 at 7:30 pm – Genre-defying Squirrel Nut Zippers unlocks the secrets of old world jazz while weaving in Klezmer, blues, Americana and contemporary styles for a playful, eclectic and danceable take on swing revival that’s fun for all. 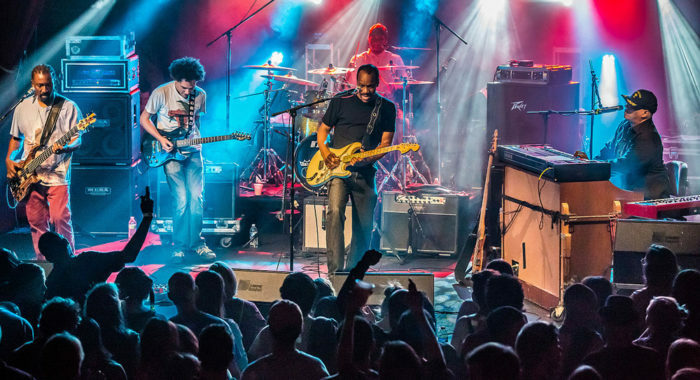 Dumpstaphunk | 8/17 at 7:30 pm – Declared “the best funk band from New Orleans right now” by The New York Times, Dumpstaphunk packs an irresistible musical punch that draws concertgoers of all walks of life to the dance floor. 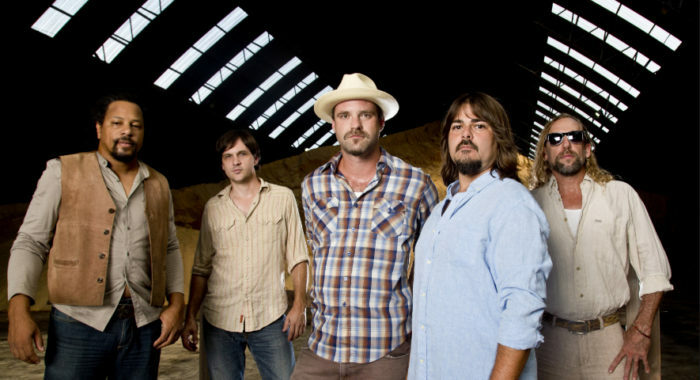 The Levitt AMP Ocala Music Series will return for a second year to elevate Webb Field at the Ocala Martin Luther King Jr. Recreational Complex—an underused space located in the once-thriving neighborhood of West Ocala—capitalizing upon the momentum of last summer’s Levitt AMP series to build awareness of the neighborhood’s rich history and ongoing revitalization efforts, while providing a dynamic space for the community to come together. Presented by the Marion Cultural Alliance (MCA). 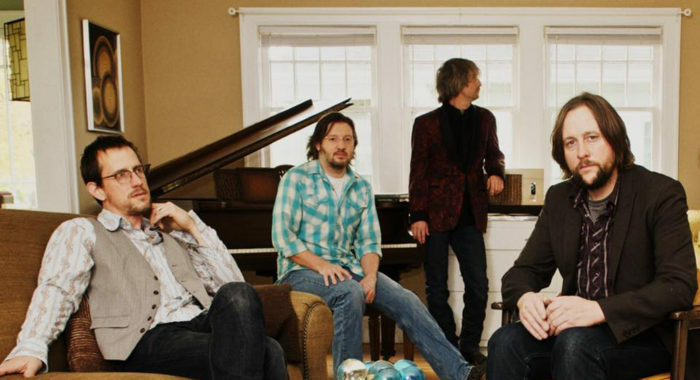 Whether you’re enjoying free Levitt concerts in one of these five communities or elsewhere, you’re in for a fantastic season. So, dust off your dancing shoes, prep your picnic baskets and get ready to enjoy a season of good-for-the-soul (and bank account) music with friends, family and neighbors on the Levitt Lawn. Be sure to RSVP for your favorite shows!